You can tap the touchpad in the controller to cycle between three different radar modes. Long-range radar is ideal for seeing the entire operation area. 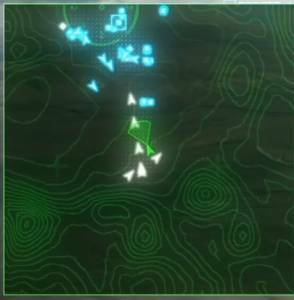 This is good for knowing the marked locations of all targets across the map, as well as track any ace/named planes that spawn in the operation area. 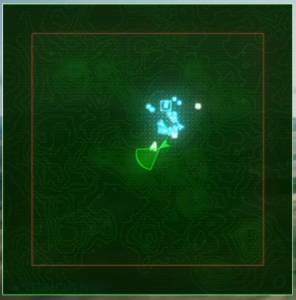 Medium-range radar is good for viewing the immediate area around you, good for finding priority targets. This mode allows displays the terrain around you more clearly, which will help in navigation. 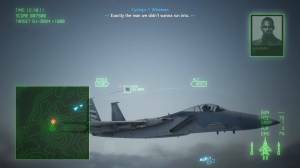 Your localized, short-range radar is an invaluable dogfighting tool and allows you to keep an eye out of targets, their heading, and even their Missiles. 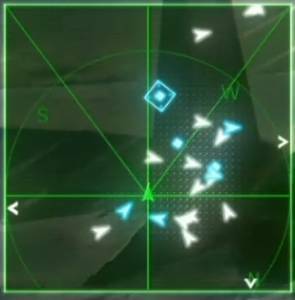 The radar can only show you the enemy position in a 2D plane; to see their actual location, you have to press and hold the Triangle button for the camera to focus on the selected target. This is useful for planning your next move.